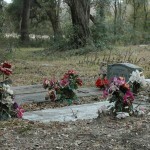 Cemeteries are important places for community members to celebrate with their ancestors. Most of Ernestine Atkins’ elders are interned at Warsaw cemetery, including her grandmother and great-great grandmother. 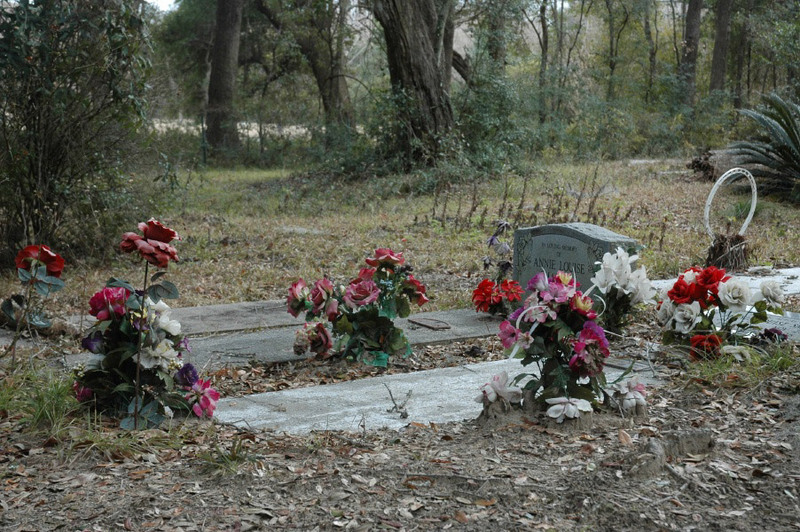 This cemetery, like most Gullah cemeteries, is located near water to allow for the spirits to be more easily taken back home to Africa. 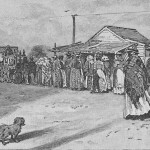 Funerals and burials from the pre-Civil War era of slavery are rarely described and/or illustrated. From the few remaining narrative accounts, an outline of traditions can be gleaned: graveyards were located in the forest, and funerals were held at night. “Got Uncle Ben’s [slave] Paul to make coffin for poor old Anthony. The body begins to smell very bad already, had it put in the coffin as soon as it came. Buried the body alongside of his son about 11 o’clock at night…. There were a large number of Negroes from all directions present, I suppose over two hundred. Creel, Margaret Washington, 1988. “A Peculiar People”: Slave Religion and Community-Culture Among the Gullahs. New York: New York University Press. Guthrie, P. (1996). Catching Sense: African American Communities on a South Carolina Sea Island. Westport, Connecticut, Bergin & Garvey, p. 23. Olmsted, F. L. (1904). A Journey in the Seabord Slave States in the years 1853-1854 with remarks on their economy. New York, G. P. Putnam’s Sons. Rosengarten, Theodore, 1986. Tombee: Portrait of a Cotton Planter, New York: Quill William Morrow, p. 496. A funeral in South Carolina, early 1890s. 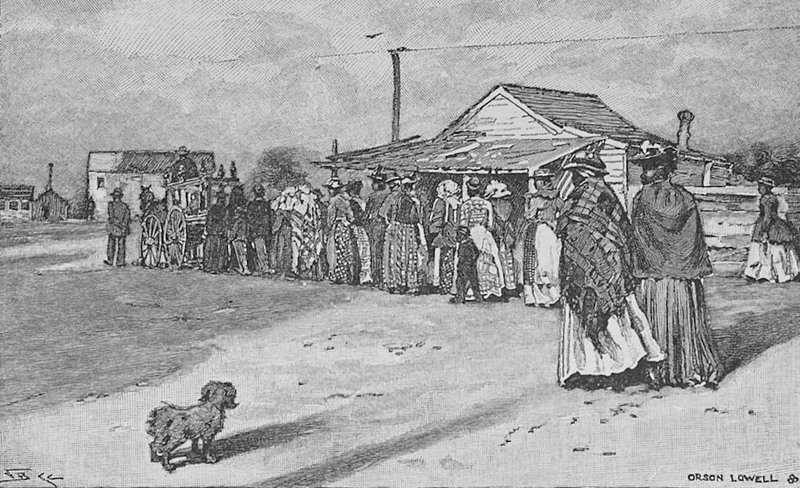 A late 19th century engraving of a funeral procession in South Carolina. The hearse leads the procession. Ralph, Julian. 1896. Dixie or, Southern scenes and sketches. Published 1896 by Harper & Brothers in New York; Image Ralph01, www.slavery images.org, Virginia Foundation for the Humanities and the University of Virginia Library. 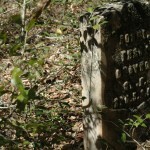 Following African traditions, the dead were often buried in the forest. 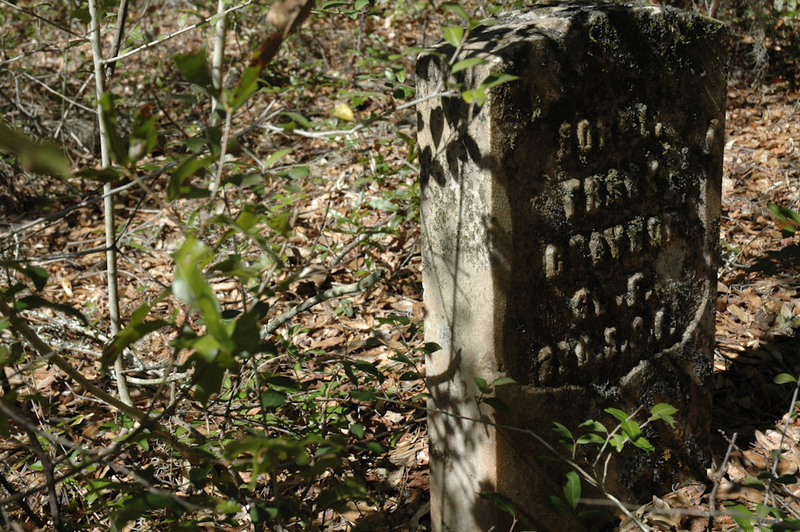 Many Gullah cemeteries still follow this tradition, with trees and thick undergrowth shading the tombstones of family members who have passed. 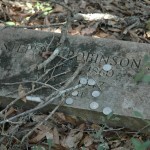 It is a traditional practice to leave offerings at headstones: coins for a well respected member of the community, a much-used cup or spoon for a deceased parent or grandparent, a stuffed toy for a child. All become part of the forest floor. 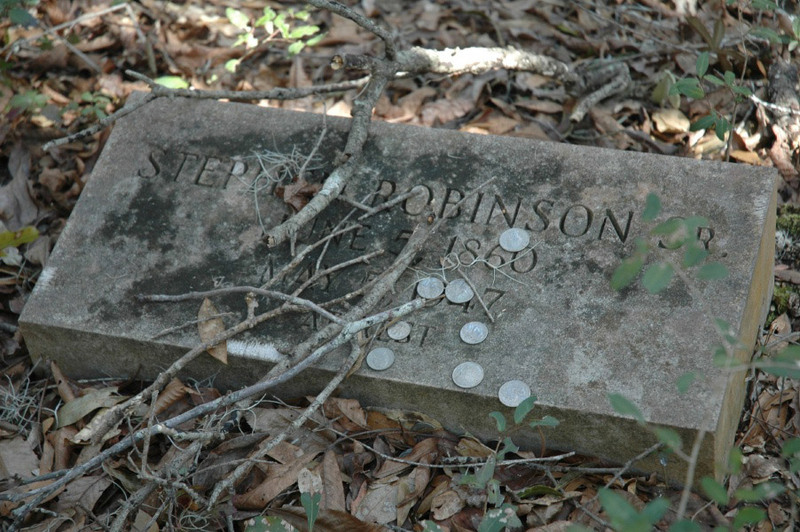 Traditional African burial customs melded with European Christian customs, are reflected today in the Gullah cemeteries on the Island. The traditional practice of burying the dead in the woods, in a natural environment has persisted. Grave offerings become part of the forest floor, and although the undergrowth is now often cleared, the cemeteries remain very much a part of the forest.